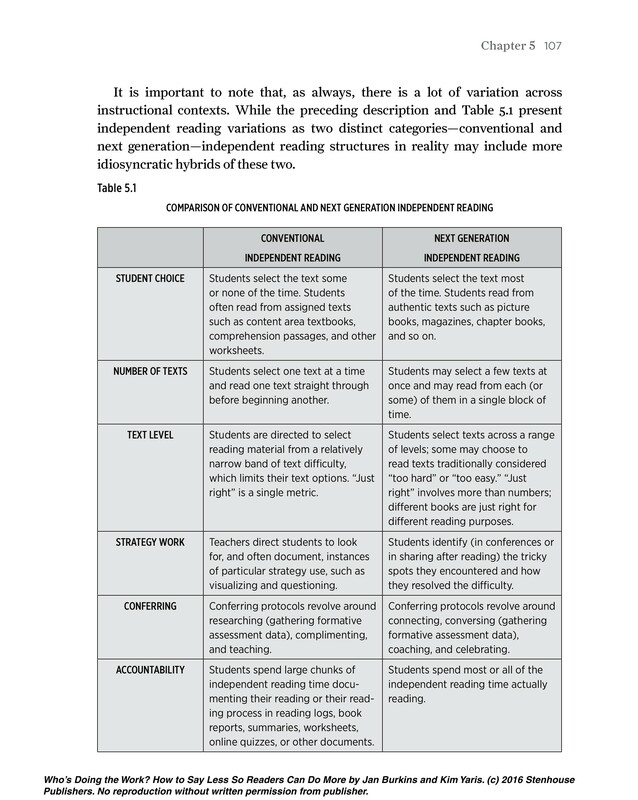 Explore how some traditional scaffolding practices may actually rob students of important learning opportunities and independence. Explore the new Who's Doing the Work? Lesson Sets. 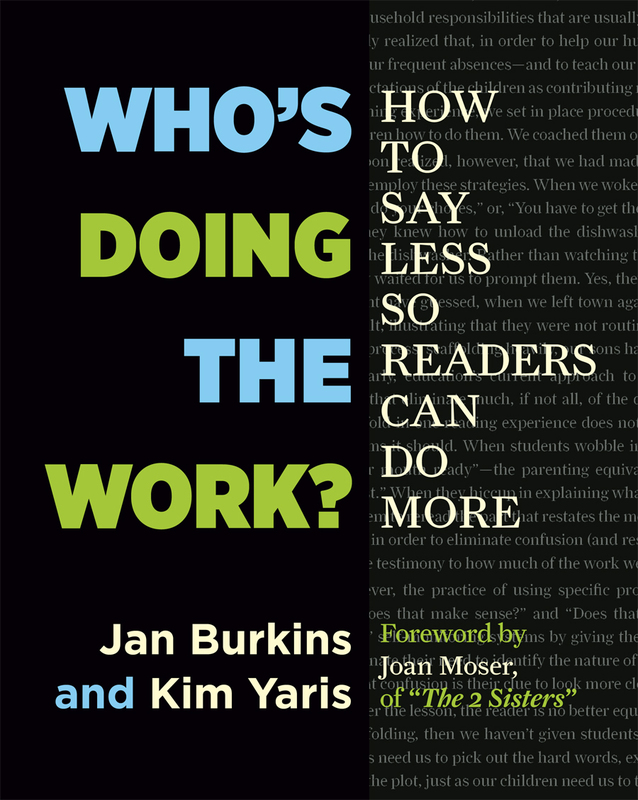 Access the on-demand webinar, "How to Make Learning Stick: 3 Ways to Boost Your Reading Instruction," with Jan Burkins & Kim Yaris. 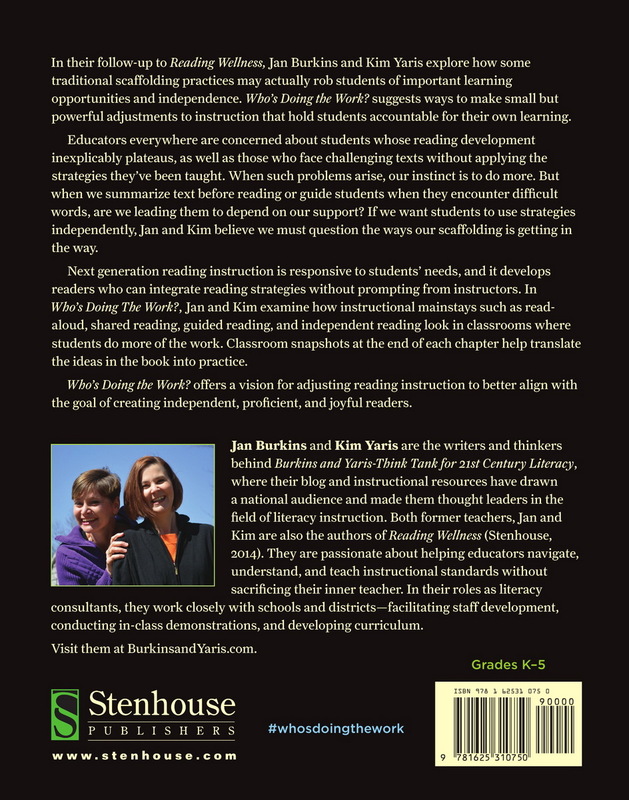 Following up on Reading Wellness, Jan Burkins and Kim Yaris explore how some traditional scaffolding practices may actually rob students of important learning opportunities and independence. Who’s Doing the Work? suggests ways to make small but powerful adjustments to instruction that hold students accountable for their own learning. 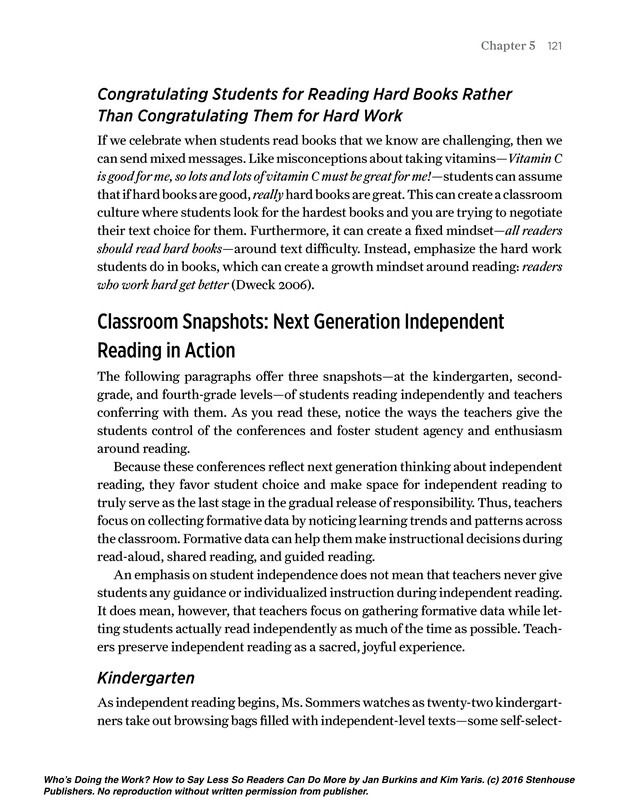 Next generation reading instruction is responsive to students’ needs, and it develops readers who can integrate reading strategies without prompting from instructors. 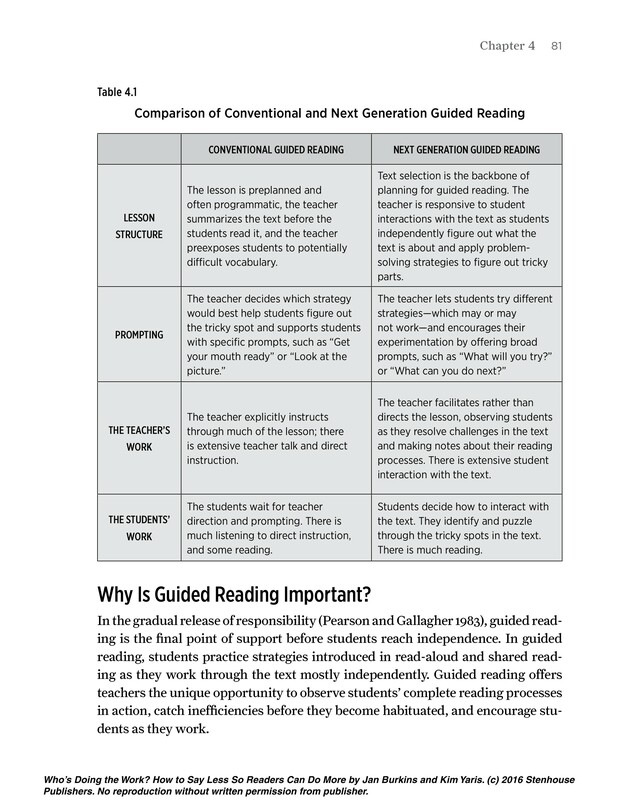 In Who’s Doing The Work?, Jan and Kim examine how instructional mainstays such as read-aloud, shared reading, guided reading, and independent reading look in classrooms where students do more of the work. 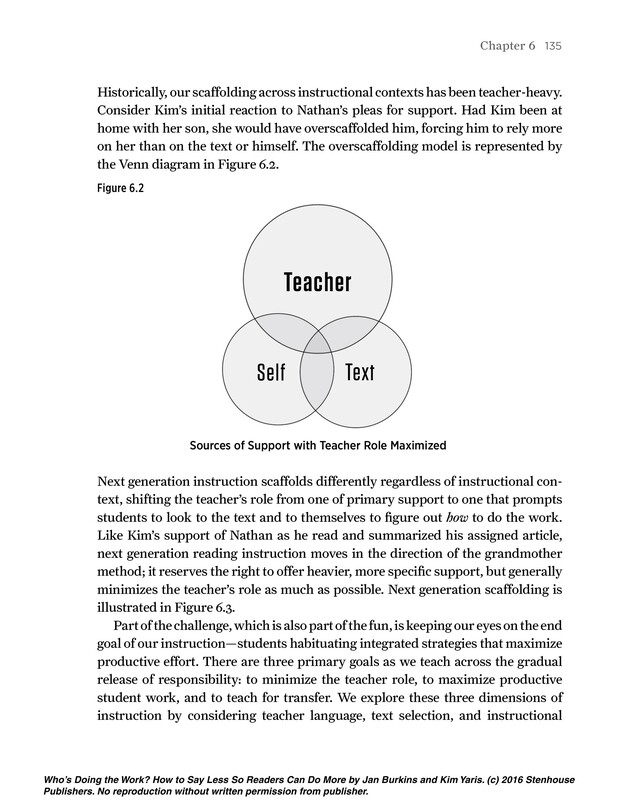 Classroom snapshots at the end of each chapter help translate the ideas in the book into practice. Who’s Doing the Work? 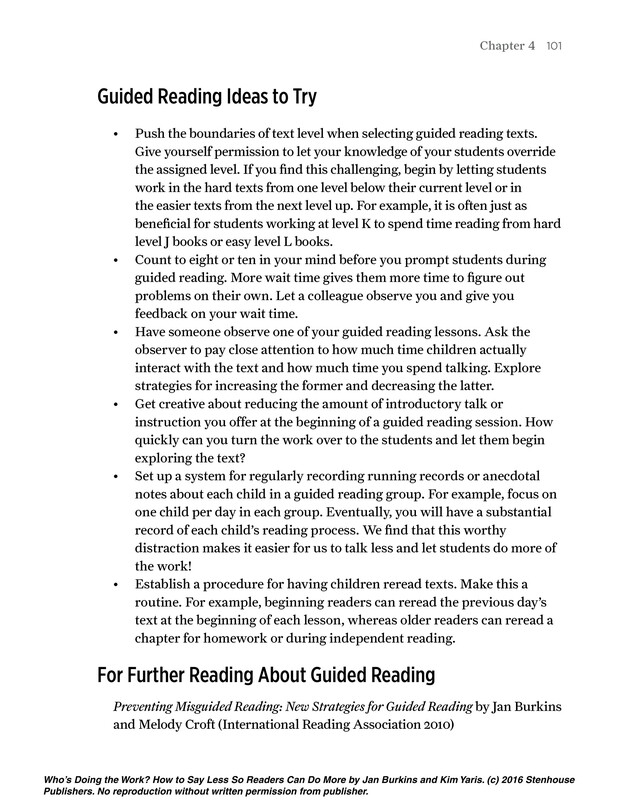 offers a vision for adjusting reading instruction to better align with the goal of creating independent, proficient, and joyful readers. Learn more about Who's Doing the Work? Lesson Sets.